For over a decade, the lawyers of Flaherty Fardo Rogel & Amick have been successfully litigating medical malpractice claims throughout Pennsylvania. We have received numerous verdicts, awards and settlements on behalf of men and women of all ages and backgrounds. We are fortunate to have physicians on retainer to help screen and prosecute these claims. Medical malpractice is defined as the deviation from the acceptable standard of care by a doctor or healthcare professional. It is a professional negligence claim, basically stating that the care rendered fell below what is acceptable in the community. The decision to sue a doctor or hospital in Pennsylvania is not an easy decision. Pennsylvania juries (with the exception of Philadelphia) can be very conservative. Hundreds of thousands of people are employed by healthcare organizations in our state, and almost everyone knows someone who works in the healthcare field. There is a strong jury bias in favor of doctors and hospitals. Critics blame lawyers for the increasing medical insurance rates and people living in Pennsylvania are generally in favor of doctors. Injured victims have two (2) years to decide if they want to file a malpractice lawsuit. The statute of limitations for filing a medical malpractice case in Pennsylvania is two (2) years from when the patient knew, had reason to know or should have known of the potential malpractice. The statute can be extended in cases involving minors and in other limited circumstances. However, the longer a patient waits to pursue their claim, the more likely the memories of witnesses will fade and the potential for lost evidence increases. If a patient is seriously injured, there are strategic advantages of pursuing the medical malpractice claim sooner than later. Once a decision has been made to pursue a medical malpractice case, the plaintiff needs to be fully committed to the case, and needs to obtain the best malpractice attorneys and expert witness(es) possible. 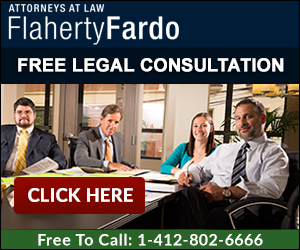 Flaherty Fardo Rogel & Amick offers free consultations on medical malpractice cases in Pennsylvania. If you or a loved one has been injured, and believe you may have a malpractice case, please feel free to call our offices (412.802.6666) for a confidential consultation.